Sewing machines were undeniably one of the most groundbreaking inventions of the 18th century. They offered a tremendous improvement over hand stitching. Sewing machines exponentially decreased the time it would take to stitch a fabric. Right now, the clothing/couture landscape has been thriving on a range of sewing machines that are nothing like their formative versions. 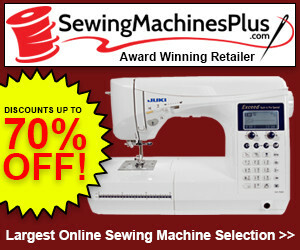 The best-rated sewing machines of today are equipped with the latest technology. In this piece, we are going to discuss the top 10 best-rated sewing machines on Amazon. This list will help both commercial and non-commercial users in fixing on a right sewing option. The free-arm feature with the option of 27 stitches is perfect for both beginner and advanced users. All the basic sewing and decorative stitches are part of this assortment. There are six quick-change sewing feet for the zipper, buttonhole, blind stitch, narrow hemmer, button sewing, and zigzag, making the machine a complete package for various sewing tasks. Users also get LED-lit work area in XM2701. With extra illumination, the sewing doesn’t cause eyelids to feel heavy. Brother ensures that the users can have jam-free and steady stitching in XM2701 by offering drop-in bobbins. With all its benefits, Brother XM2701 is available at a nominal price. It has a 4.5/5 rating at Amazon which is the testament to its good quality stitching. 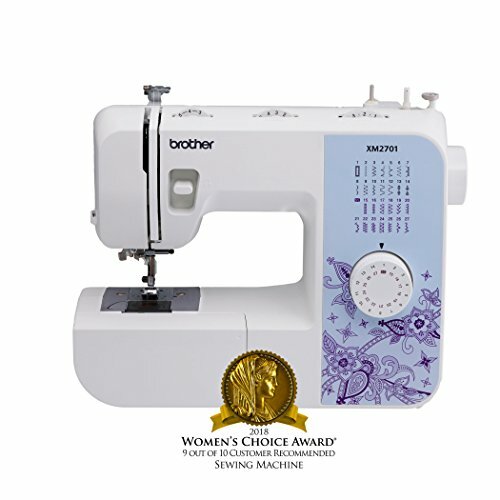 Brother CS6000i is another top-rated and one of the best seller sewing machines on Amazon. The machine is equally good for sewing and quilting for home users. This Brother model has also won the Women’s Choice Award for the year 2018. The extensive automation of CS6000i guarantees convenient use, especially for those who haven’t considerable sewing experience. What makes Brother CS6000i one of the best-rated sewing machines on Amazon? Well, the following features make up the list of reasons. A CS6000i piece comes with a digital stitch selector and stitch speed controller. These features improve the user control on the sewing. The LCD display and automatic needle threader with super-easy bobbin winding ensure that the entire process remains convenient for users. CS6000i has a free arm with a large detachable sewing table. These features come in really handy when you have to deal with large quilting projects. 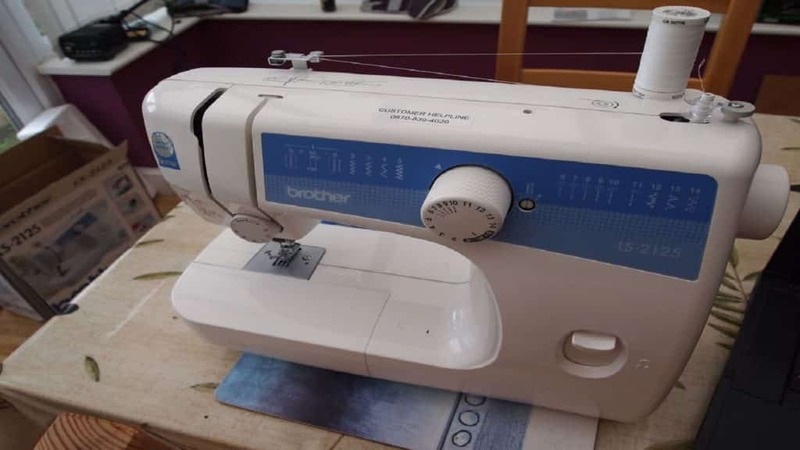 Brother CS6000i comes with 8 sewing/quilting feet. From monogramming to overcasting, the feet assortment takes care of different sewing requirements. 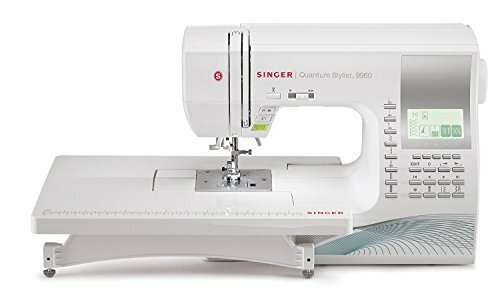 Overall, CS6000i is a good deal in its price for medium-scale sewing and quilting projects. The machine has a quick built-in threading system. A user can thread the entire machine (from the spool to the bobbin to the needle’s eye within a couple of seconds). 4452 makes buttonhole sewing trouble-free with its 1-step process through the buttonhole foot that gives repeatedly reliable results. The ‘heavy duty’ motor ensures that users can use the machine on every type of fabric including denim, leather, and canvas. The internal framing of 4452 is brawny to provide rigid support and skip-free sewing. With 32 built-in stitches, 60% stronger motor, and 48% faster stewing, Singer’s Heavy Duty 4452 is made to deliver immaculate results for extensive sewing projects. 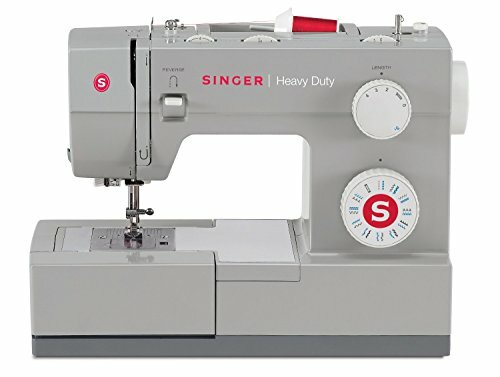 Singer Heavy Duty 4432 Price: $195.15 "Super fast sewing machine. It definitely gets the job done fast." Singer boasts about the stitching speed of the 4432. The machine can deliver eleven hundred stitches per minute. No sewing project takes longer with that quick stitching speed. With the assortment of 32 built-in stitches including the basic, decorative, stretch and buttonhole ones, it’s easier to materialize your creativity on the fabric. A stock 4432 comes with four presser feet to take care of different aspects of the sewing project. Besides a basic-purpose foot, you will have one foot for buttonholes, one for sewing zippers, piping and cording, etc. The fourth presser foot is for sewing buttons directly. 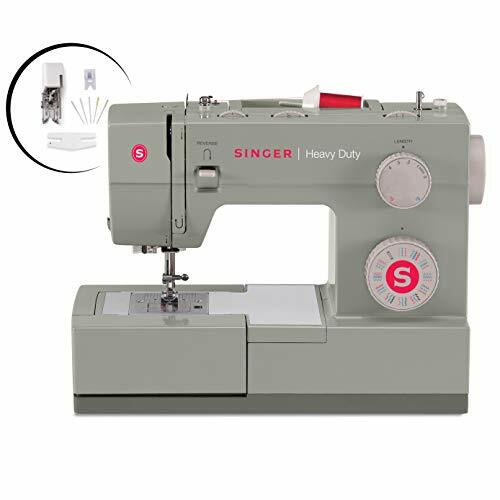 Singer Heavy Duty 4432 comes with transparent bobbin cover so that users can immediately fix any developing knot of bobbin thread. In its price, 4432 is a lucrative offer for people carrying out customized sewing projects. The machine comes with 17 built-in stitches including the special blind hem and couching stitch. Notwithstanding its elementary branding, the machine comes with four presser feet (zipper, zigzag, buttonhole, and button sewing). The free arm feature makes the sewing of cuffs and other tricky fabric portions easier while LED illumination facilitates it further. The machine has a universal approval on Amazon with 4.5/5 rating. 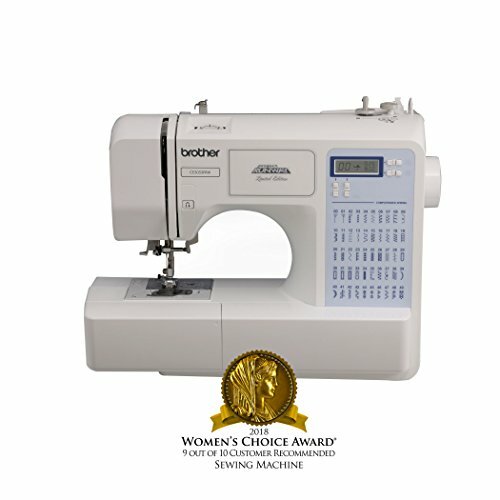 Brother RLX3817 is the 8th best selling sewing machine on the platform, clearly highlighting its popularity among aspirant dressmakers and seamstresses. 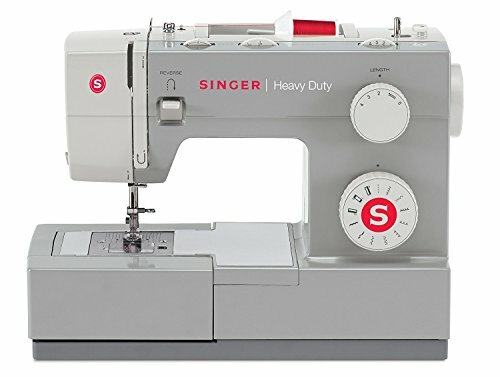 Singer Heavy Duty 4411 Price: $99.46 "I like sewing with this machine. it is relatively quiet and sews fast. This will be great for doing piecing for quilts." 4411 is heavy duty sewing equipment from Singer. According to users, Singer 4411 is ideal for regular sewing and craft/fashion pieces. It comes with 11 built-in stitch array that includes four decorative stitches and one buttonhole stitch. The powerful motor makes it really easy to undertake extensive sewing tasks. The following mentioned features of 4411 make it one of the best-rated sewing machines on Amazon. Fabric glides easily over the slippery steel surface. For that reason, 4411 is fitted with a stainless steel bedplate so that the machine’s platform can complement its extra speed. Users are able to adjust the stitch length in 4411. This feature is required in sewing tasks where one has to deal with stitching variations like basting and appliqué. Users can also adjust stitch width to up to 6mm while sewing on 4411. This width actually defines how far the stitch goes from side to side which can be effectively used to create bolder and innovative seams. The machine also comes with a built-in reveres sewing feature. So, you don’t need to lift the pressing feet every time to secure the seam, making the overall stitching process hassle-free. Four presser feet are also part of the stock Singer 4411 option. Besides regular feet, you get one for zippers, buttonholes, and button sewing each. Singer offers an entire collection for beginner seamstresses and couturiers and Start 1304 is one of the best-rated sewing machines among that assortment. Start 1304 has an aggregate rating of 4/5 on Amazon, clearly indicating its popularity among aspirant sewing artists. The machine comes with six stitches that cover the majority of basic sewing tasks. Let’s take a look at some of the salient features of Singer’s Start 1304, making it one of Amazon’s bestsellers. The brawny metal body of 1304 ensures that the user can have skip-free sewing. Three presser feet are part of the stock offer. The two extra feet are for sewing buttonholes and for adding zippers and piping. 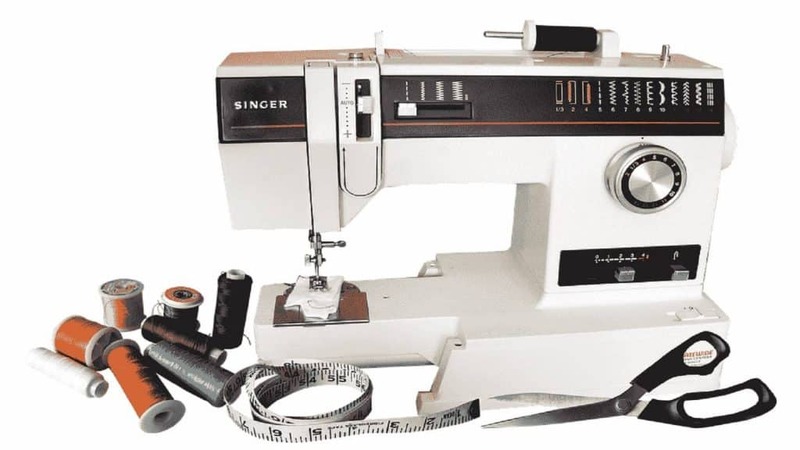 Users are also able to do twin-needle sewing (generally used for hemming) with Singer 1304. Just add two spools on the vertical pins located on the top and thread the machine– you are good to go with twin-needle sewing. 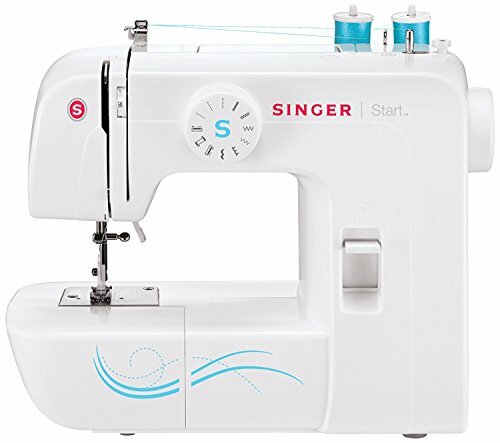 Singer Start 1304 is perfect to start out on professional sewing lessons with features just enough to get going your creativity. 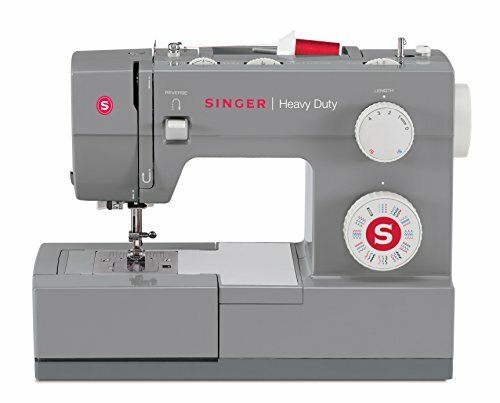 Singer Heavy Duty 4423 Price: $117.63 "I absolutely love this machine and will certainly stretch it to its limits." Singer heavy duty sewing machines have their own consumer base. 4423 is the heavy-duty apparatus quite popular among users who have to do more of the unconventional sewing (quilts, canvases, different home craftwork, etc). 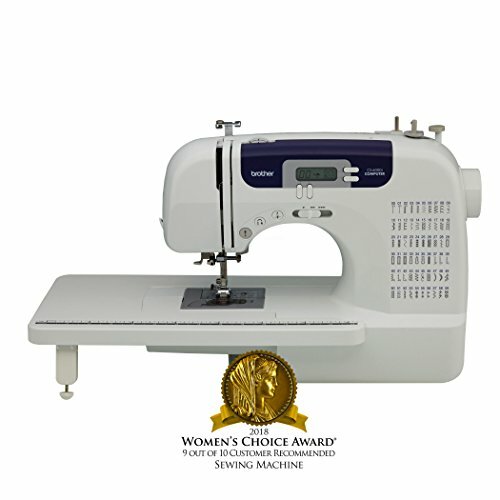 4423 is one of the best-rated sewing machines and a top-selling Singer model on Amazon. These features are the reason why Singer 4423 has a 4-star rating on the platform. The adjustable presser foot pressure allows seamstresses to adjust the machine for heavy and lightweight fabric accordingly. Whether its denim or silk, Singer 4423 can work equally well on both. With a motor power that is 60% more than regular sewing appliances, Singer 4423 can provide the stitching speed to up to 1,100 stitches per minute. This feature certainly makes Singer 4423 a perfect fit for extensive sewing projects. The heavy-duty motor also provides enough piercing power to do stitching that involves thick seams. The 23-stitch array includes multiple stretch and decorative patterns, making it ideal for crafting work. The top drop-in bobbin with a clear view makes sure that you can continue the sewing without any abrupt breaks. The machine comes with a whopping 600 built-in stitches which also include five alphanumeric fonts and 13 one-step buttonhole stitches. This makes it an ideal machine for large embroidery and monogramming pieces. Quantum Stylist 9960 also carries the mirror imaging feature. This feature allows users to copy a design or stitch up and down and side to side. This specialty of Quantum Stylist 9960 is perfect for filling large embroidery patches and to reproduce design motifs automatically. The automatic needle threader and the speed of 850 stitches per minute ensure that users can get every sewing project get done in time regardless of its tapestry details. The 9960 assembly comes with an extension table so that users can easily deal with fabric and quilting of large sewing projects. 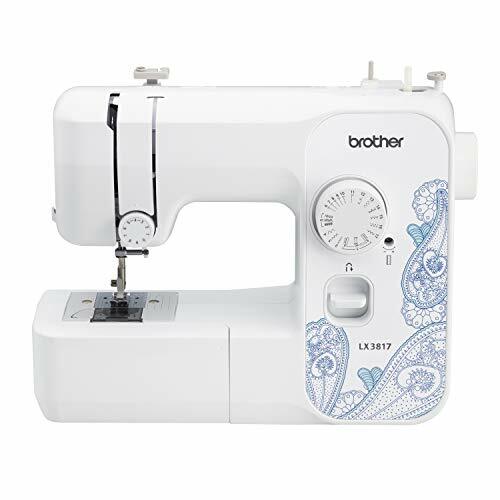 Brother Project Runway CS5055PRW Price: $137.41 "If you're looking for a midlevel machine that has some of the bells and whistles without the giant price tag, look no further." Brother CS5055PRW offers stitch variety exclusively for heirloom aesthetics, quilts, and embroidery, making the machine ideal for bespoke sewing projects. Users also get to choose between five different one-step buttonhole stitches. The stock option comes with extended presser feet assortment. Blind hems, zippers, overcasting edges,and knits can easily be sewn after mounting the right foot. The built-in stitch chart and selector makes it easy for users to quickly switch to the required stitch. The LED-lit work area allows users to work without straining their eyes. It also helps when one is crafting an intricate design on a dark fabric. Amidst doing all this heavy-duty work, Brother CS5055PRW is lightweight and comes at a really reasonable price. These 10 best-rated and top-selling sewing machines on Amazon can immaculately encompass every task that involves stitching. Pick the one that best suits your functional requirements.